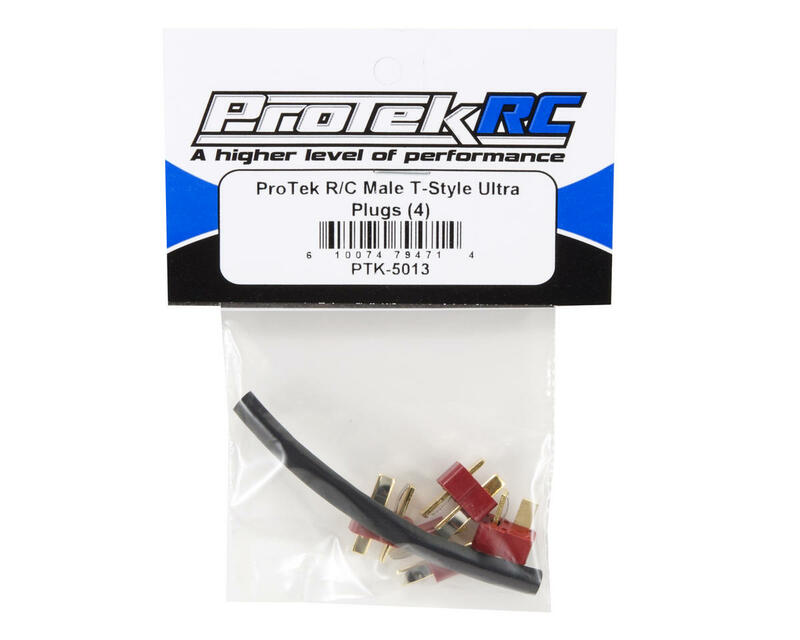 This is a pack of male T-style ultra plugs from ProTek R/C. There are total of four male connectors in the package, along with one piece of heat shrink tubing. 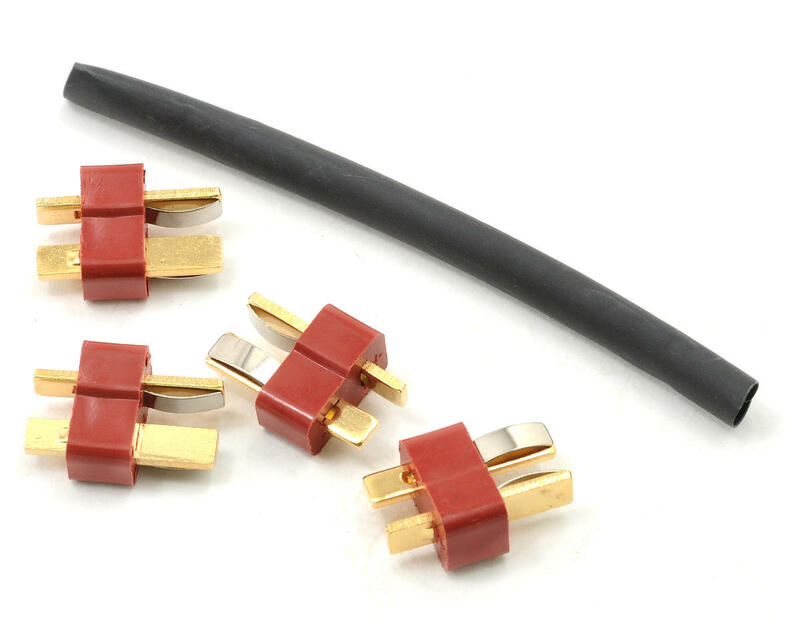 These connectors are designed to easily handle in excess of 50A of continuous current.